Now that you've seen the inside of Elvis' home, let's take a look at the extensive Graceland grounds. The grounds not only hold the mansion and the racquetball court but also a detached office, horse stables, pool and the meditation garden. There is also a large carport and detached trailers on the property. After Elvis' death the church was bought next door to the property and it is now the Chapel in the Woods where couples can be married. Let's start at the pool. 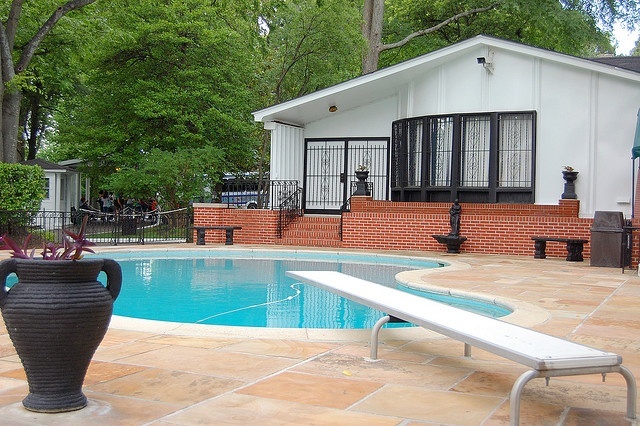 Located right in front of the Meditation Garden and connected to the house, the Graceland pool is enclosed in black wrought iron fencing with stamped concrete. Elvis loved to be in the pool and work on his tan. This was also a favorite area of Lisa Marie and Priscilla. 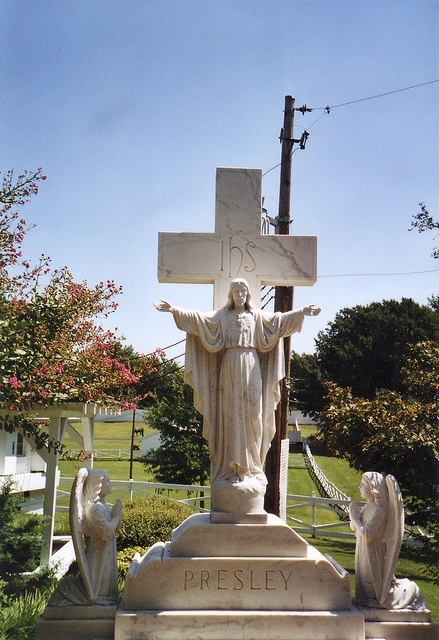 The Meditation Garden was built in 1964-1965 by Elvis. He considered this area of his property a place to go for contemplation. He would go to this area to think and spent time. 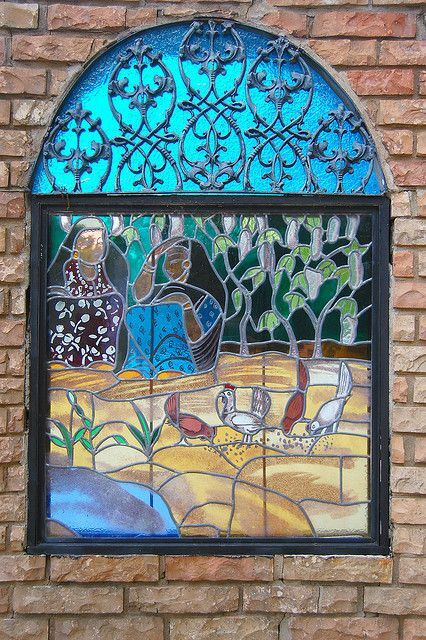 This area has a large fountain, stained glass windows and benches. 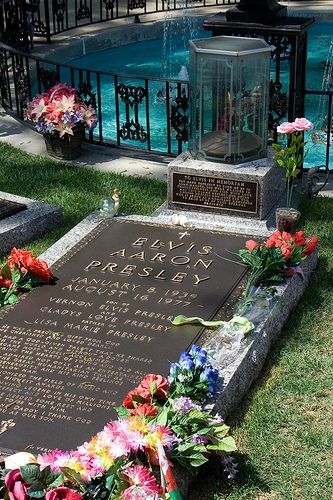 It is also the resting place of Elvis and other members of his family. 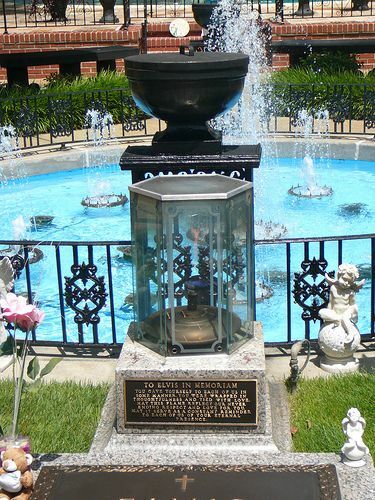 An eternal flame is also at his grave. Across from the meditation garden you can see the vast grounds. 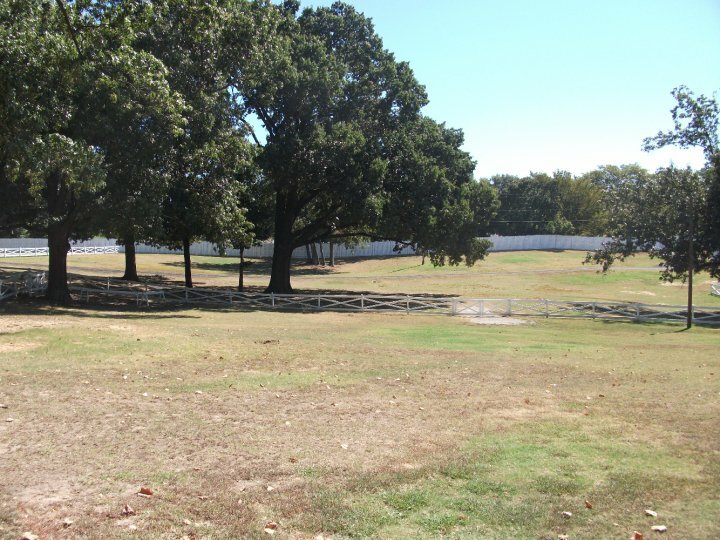 On the far side and near the front of Graceland you will find the Chapel hidden in the woods. You can get married in the chapel and then take your wedding photos in front of Graceland. 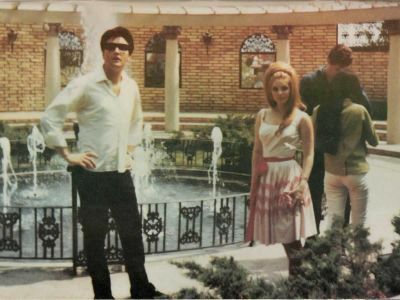 As you can see, the grounds are extensive and Elvis really built on to the original house once he bought it. 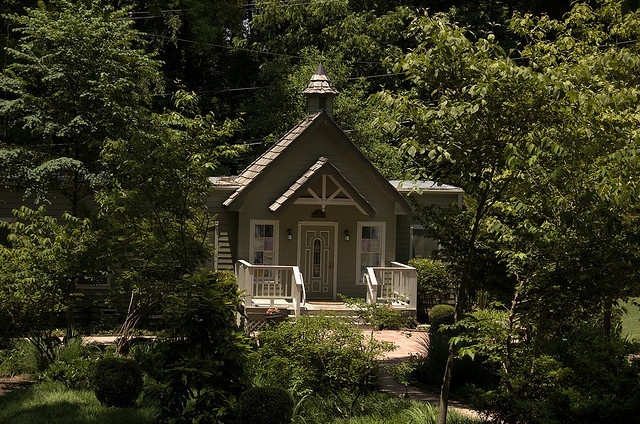 He made this house into a home and the grounds fit his needs. If you ever get the opportunity to visit Graceland, I highly recommend it. I'm not even an Elvis fan but I've always wanted to go to Graceland just to see it.